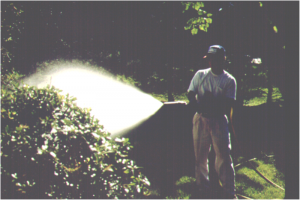 In New Jersey, dormant oils (3-4%) are typically applied during March & April. 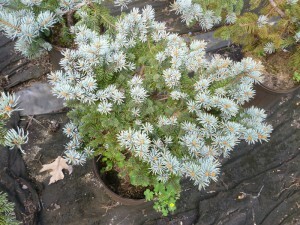 However, many landscapers also apply dormant oils during the late fall months. Dormant oils have proven to be an effective material against a wide range of insect/mite pests & their eggs. 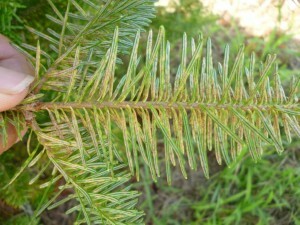 Typical landscape pests targeted include spruce spider mites/eggs, southern red spider mites/eggs, oak spider mite eggs, aphid eggs, soft scales, armored scales (to a lesser degree), hemlock rust mites, spruce gall adelgids, lace bugs (deciduous plants), cankerworm eggs, psyllids, plant bugs, etc. 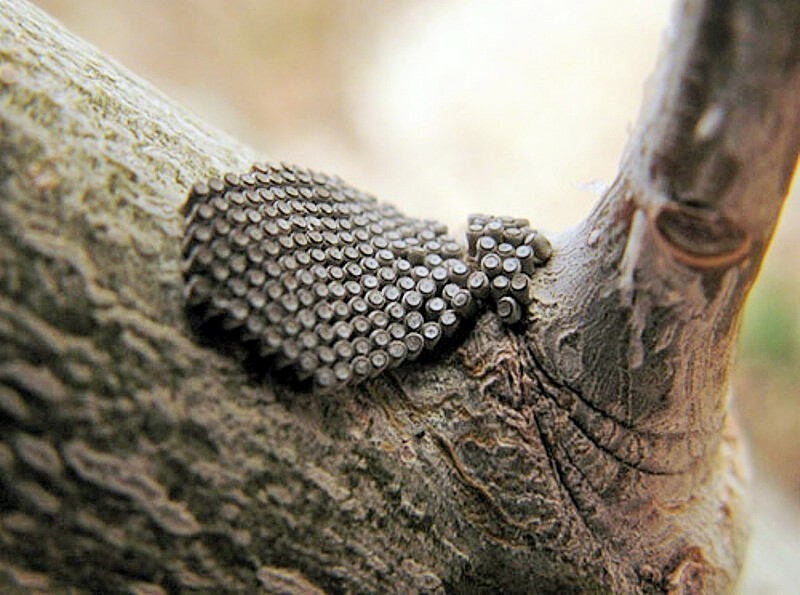 Some overwintering eggs such as Cankerworm eggs can be effectively destroyed by dormant oils. 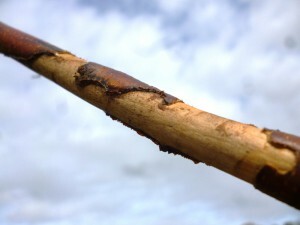 During the later weeks of summer & early weeks of fall the mysterious removal of bark sections typically found on branches of Birch, Rhododendron, and Lilac can sometimes be observed. 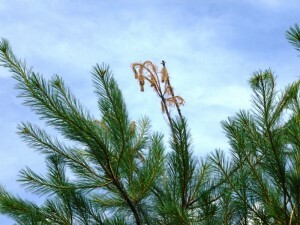 These girdled or stripped bark sections are probably being done by European Hornets. These vespids have been reported to potentially have a worse temperament than timber rattle snakes. 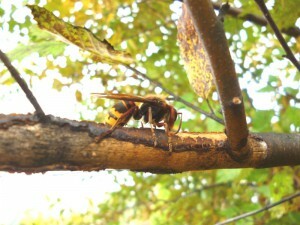 River Birch branch girdled by European Hornets. 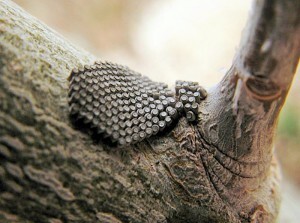 Armored scales are generally regarded by green industry plant managers as being one of the more difficult insect pests to control. The Cryptomeria scale (Aspidiotus cryptomeriae ‘Kuwana’) is an armored scale that is notorious for being especially difficult to detect because of the translucent waxy cover. 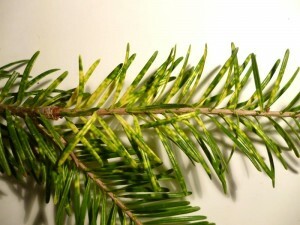 The elongate hemlock scale species resembles this scale, but it has a waxy cover that is caramel brown in color. 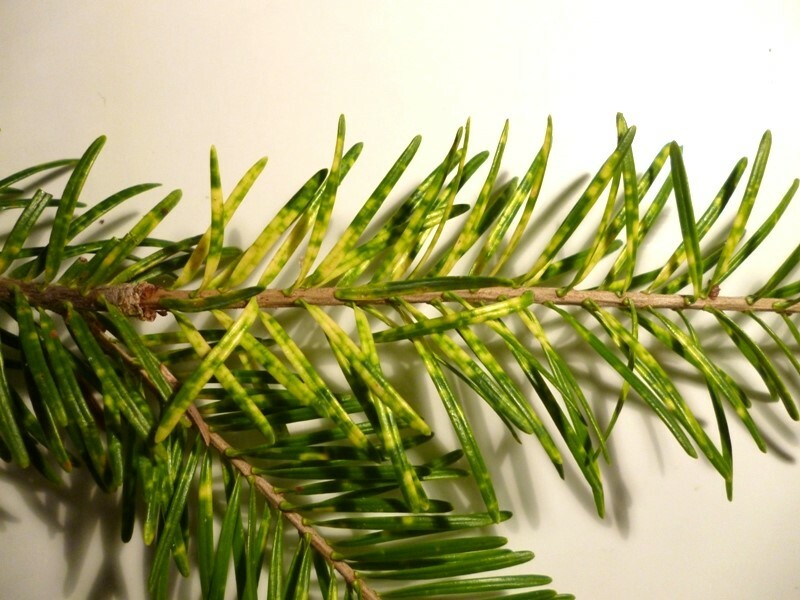 Although the hosts of Cryptomeria scale can potentially include numerous conifer species, they are most typically found on hemlocks & pines in the landscape and on true firs in production situations such as Christmas tree farms. The damage potential is especially high on true firs. 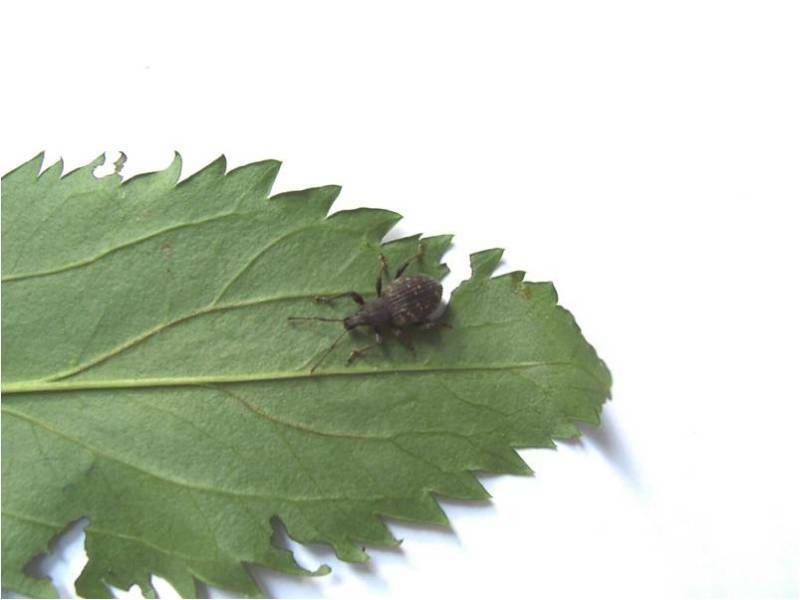 Many landscape & nursery managers consistently state that attempting to manage the black vine weevil insect (Otiorhynchus subcatus) as one of the most problematic pests they encounter. These leaf notching weevils feed on many kinds of ornamental plants including yews, rhododendrons, azaleas, laurels, leucothoe, forsythia, euonymus, hollies, viburnum, most deciduous and evergreen shrubs, ground covers and many kinds of perennials and annuals. 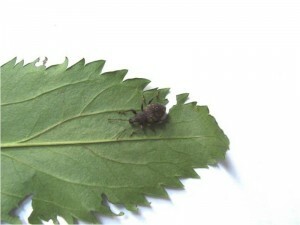 Controlling Black Vine Weevil adults during the month of June will prevent egg laying during the weeks of July. This beetle only has one generation a year.